Holmhill Steading Cottage is a two bedroom conversion of a historic stable building in the grounds of Holmhill Country House (7 acres of garden, woodland and paddock). Holmhill is situated on the outskirts of the Dumfriesshire village of Thornhill. The self catering accommodation has two double/twin bedrooms, one with an en-suite bathroom and the other with an adjacent bathroom. These are complimented by a large open plan living, dining, kitchen room (6.5m x 4m). This room also has french doors to a large terrace area made from the sandstone which formed the floor of the original building. 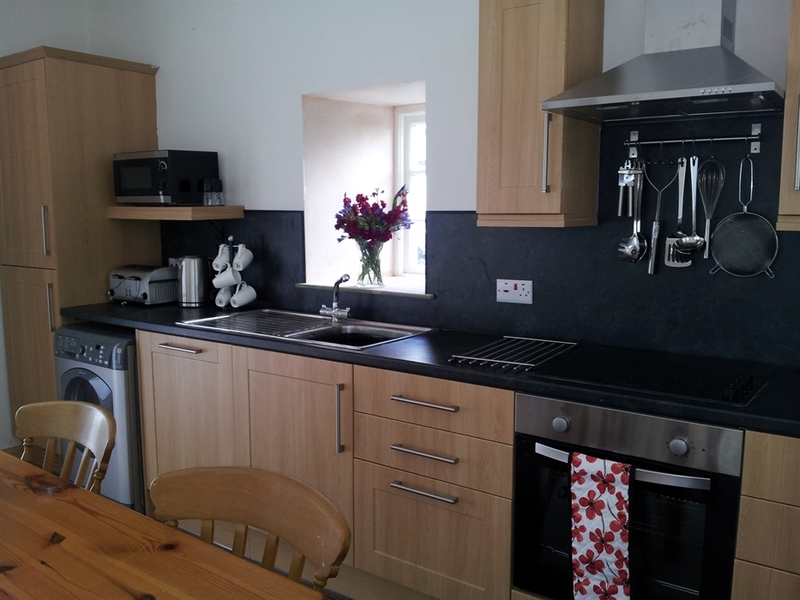 The cottage is ideal for a family or a party of four. Take a look at our birds eye view video of Holmhill and the surrounding area in the Gallery below. 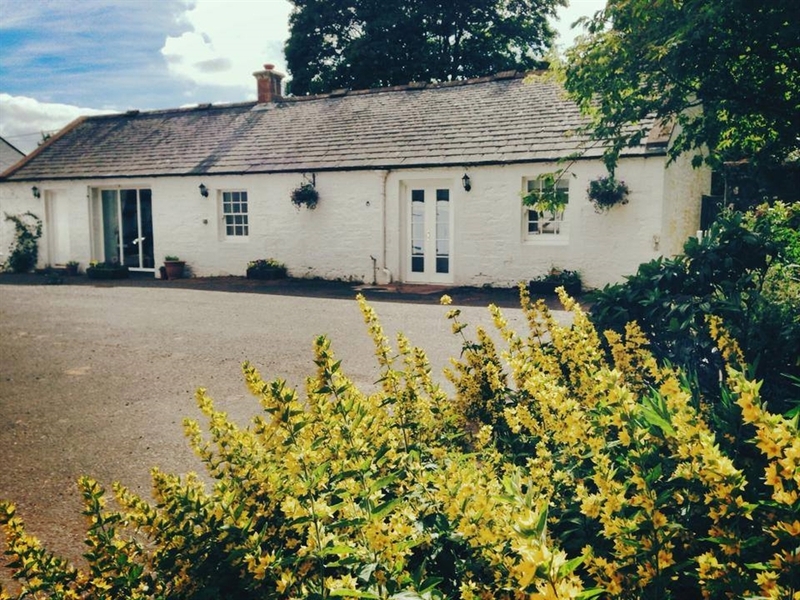 Entry to the steading cottage is via either of two doors from a courtyard where there is ample parking space. The outlook on the other side of the building is to the terrace area and beyond that to the Holmhill garden. There is access to the garden from both the living room and via french doors in one of the bedrooms. 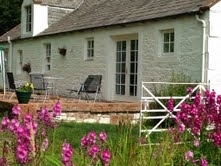 Guests at Holmhill Steading Cottage have full access to the Holmhill garden and grounds. Holmhill holiday cottage is designed to make access as easy as possible and one of the entry doors from the courtyard has a ramp. The rooms are all on one level, and the bathroom includes an easy access shower. The normal letting period will be a week running from Saturday to Saturday and such bookings can be made online using the Check Availability button above. For other letting periods just call or email us to enquire. Rental costs can be provided on request or can be viewed on the Tariff page on our main website.